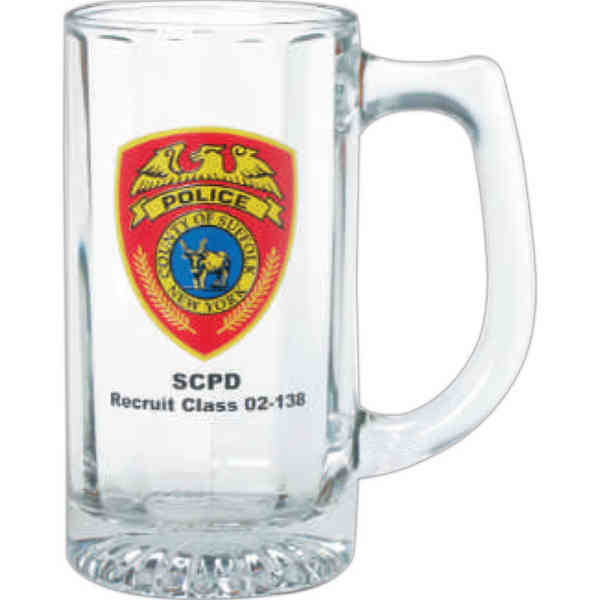 Drink up to your success when you make use of this clear glass optic sports stein at your place of business! It's a great way to add some cohesion to your restaurant or bar's decor. This is made in the USA and holds up to 12 oz. of beer, soda, or more. There is a multitude of imprinting methods available with which to add your custom logo. Take advantage of this opportunity to not let customers forget who you are and what you stand for!